A new sci-fi manga, brought to you by the author of hayate no gotoku. About a boy who was brought up by a robot, and was bullied for that in the future where Earth was conquered by aliens, and people are just living boring lifes without any problems and ambitions. 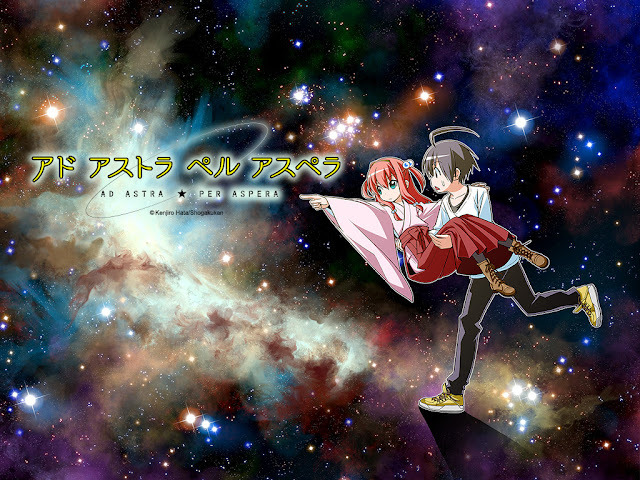 Ad Astra per Aspera began in Weekly Shonen Sunday #40 by Kenjirou Hata, the author of Hayate no Gotoku. Hata is simultaneously publishing both series so it is very likely that this new series will either be an irregular series (not publsihed all the time e.g. Imawa no Kuni no Alice) or it will be a short series. Either way, this series should be an enjoyable read.